Relying on pictures isn’t natural for authors but an author photo is one of the easiest, most effective forms of marketing available to you. 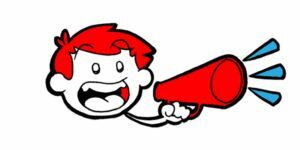 They may not be worth a thousand of your wonderful words but they can immediately communicate vital information and help establish you as a brand with your readers. What’s your author photo for? Pictures communicate a huge amount of information quickly. Your author photo can tell an audience about the tone, style and genre of your writing and not using it to do so is a huge waste. Potential readers perceive being an author as an absolute state; either you are a complete professional or just pretending. Your author photo needs to suggest you are the ideal type of person to be writing about a specific subject. This is your persona, a representation of yourself centered around advertising your work. It is not a complete reflection of you as a person but only those facets that fit with your work. All writers of grisly horror novels have home lives, they make cakes and read magazines in the bath, but when it comes to advertising themselves as authors, they represent themselves as threatening figures who exude the menacing aura readers want in their books. Clive Barker is adept at pretending he’s never pulled a party popper. 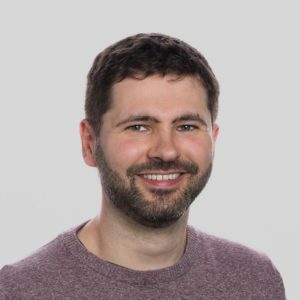 If you’re not seen as a professional then you’ll be seen as an amateur and, costly though it may be, professional authors have professionally taken profile photos. This is an unavoidable expenditure for an author and the only element that’s the same no matter what genre you write. You can’t use a Facebook photo, not even a high quality wedding photograph you’ve cropped so it’s only your head. You might not know Gillian Flynn is a thriller writer from her profile picture but the fact that she’s taken a professional quality photograph in a setting clearly chosen just for this picture assures readers that she’s serious about her writing. Remember you’re the author rather than a character. The events of the book may be horrifying but you’re outside them. 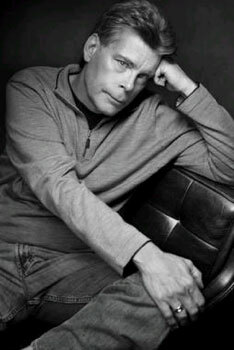 Stephen King writes horror stories but it would be cartoonish for him to appear evil in his author photo. Instead King appears serious and grave, an author who can write about grim, upsetting events. 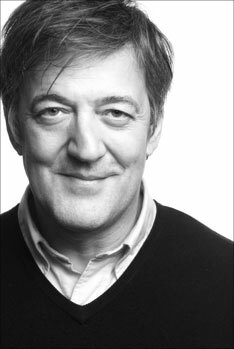 Stephen Fry writes about a variety of subjects but his hallmark qualities as a writer are wit, sophistication and approachability. Fry’s book, Making History, deals with a reimagined history where Hitler was never born. His picture communicates none of the book’s story but a great deal about the tone in which it is written. Look at King’s photo again and imagine that’s the author of an alternative history book about Nazis. It might be the same plot but it’s definitely not the same book. The subject hardly matters when the author photos so clearly communicate the spirit in which the story will be told. Both of these photos illustrate their author’s persona and tell a reader everything they need to know about whether or not this is the type of book they enjoy. 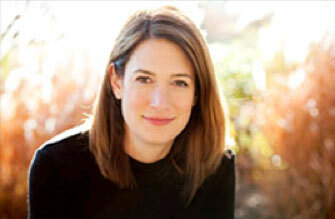 Though Gillian Flynn’s profile picture is certainly professional it doesn’t do the same thing. Fry and King graduate from Flynn’s ‘I am an author’ to ‘this is the kind of author I am’. Wilson’s profile picture is a cartoon surrounded by brightly colored decoration. The design is not simple, in fact on examination it’s quite complex, and promises an author who appreciates flair and effort. It’s easy to think of this picture as lesser than the photographs already shown but it isn’t; it shows a professional attention to quality that trumps Flynn and communicates more about the spirit of the author’s work than Fry and King manage. Color isn’t the preserve of children’s books. 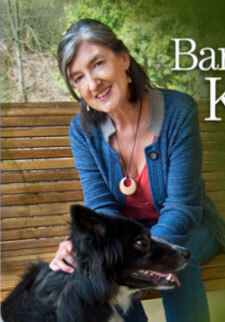 Barbara Kingsolver is a novelist and poet whose work often centers around the beauty of nature. It would be difficult to communicate a persona who can write authoritatively about nature without using color. The more severe the style the less appropriate the use of color, and vice versa. Photos are easy to see and communicate a great deal of information so you should put them at the top-left of a website where they’ll be the first thing a reader sees. Putting your photo on the right treats it as an informative addition rather than the important tool it is, again in the spirit of ‘this is me’ rather than ‘this is the kind of author I am’. Our eyes are naturally drawn to photos so they don’t need to be huge to get noticed. Proper placement will assure a reader’s attention. Size depends on many factors but basically correlates to an author’s importance. Established writers can get away with huge photos but for less known authors it can seem as if you’re getting ahead of yourself. 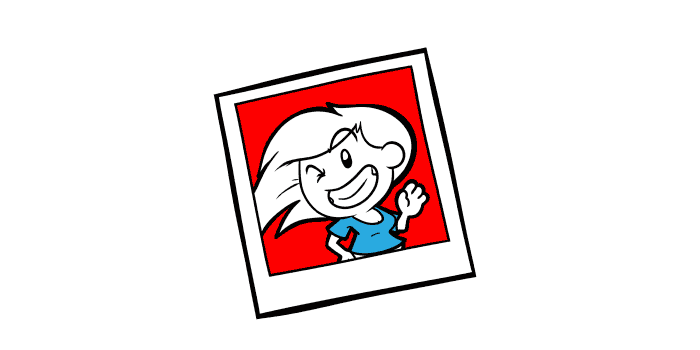 Remember your photo is about your persona, which is an extension of your work. On his children’s book site, where the readers care little about the identity of the author and are particularly sensitive to self-promotion, David Walliams uses a small, simple picture. 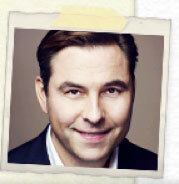 The photo is presented as a polaroid taped to the screen, heightening how casual Walliams is about his role.  An interesting option is to make your author profile photo part of a header for your website. Your author photo is your logo and logos need consistency. 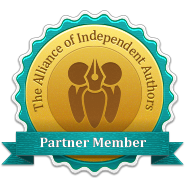 In this day and age, an author should have an official website and a professional social media presence with a consistent logo across the board. It is recommended to use the same photo everywhere, with no exceptions. However, if you have to use a different image, make sure it is consistent with your author brand identity. Of course you can’t always hold the same position but you can identify the qualities that define your logo. 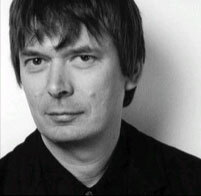 Crime writer Ian Rankin is the king of profile pictures. 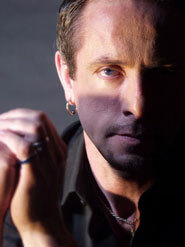 The photo is always close, creating a sense of intensity, and combines with landscape photos including dark backgrounds to present Rankin as the reader’s guide through darkness. 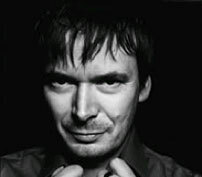 Rankin’s profile pictures are almost always greyscale to create a noir feel and he uses light to create the kind of menacing face you get holding a torch under your chin to tell scary stories. In context his shrewd smile is a kind of challenge; he finds it amusing to know what the reader has coming. Rankin’s authorial persona is unwavering across all platforms. 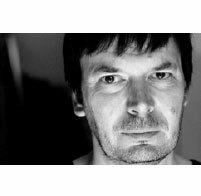 The consistency in Rankin’s pictures creates a consistency in his message: ‘I know enough about the darker elements of life to write great crime fiction.’ Each picture you use should contribute to your overarching authorial persona and any deviation detracts from that central image. Does it have to be a photo? As Jacqueline Wilson shows, your picture doesn’t need to be a photo. The artist formerly known as Prince taught us that a person can become a symbol and in the age of social media you might prefer a digital avatar, an emblem or some other form of picture to a photograph. All of the above rules still apply, but keep in mind that the picture still needs to give you authority. Write down the core qualities of your writing and work out how you’re going to represent them. This isn’t just useful for a profile picture but should help your writing in general. Understanding what you’re about as an author helps you to identify your strengths as well as sell yourself. You should consult with a professional photographer who’ll know how to create the kind of visual you’re after and will probably have some good ideas of their own. After all that hard work remember that you’re using your own face to advertise your writing. Great article! Definitely something to think about. I’m glad you find it useful, Chris. 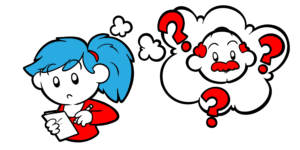 The dichotomy between what you write and who you are is such a problem, as you indicate. Serial killers don’t make good novelists; novelists don’t make good serial killers. But, like you say, how do you pick a pic that shows the author, not the “regular guy who happens to be an author.” That shows, basically, the author that the reader perceives. That’s a tough one for me. Which is why I seem to change my author picture as often as my socks, about once every two weeks. I think if you can find that elusive (close to) perfect image and stick with it it will really make a difference to your author brand recognition. can you use a photo even if its out of date? I have one that would be great to use but its old. I always like the author photos in the back of the book with the author sitting at a desk or in front of a book shelf. To me, it says they are productive and studious of the craft. Just my two cents. You can use any photo you like, even an out of date one, as long as it is consistent. Although if you’re 15-20 years older than your author photo people may get confused if they ever run into you at book signings or events. You’ll have to update your photo occasionally over time, but if you stay in line with your general theme and use the photo consistently across your network then that won’t be a problem. Really interesting article. I’m just about to choose one for a submission, and hadn’t really thought about how much it can tell the reader. I shall now give this some serious consideration! Wow! This entire site is giving me so much to think about in self-publishing. I didn’t give this much thought to the picture I chose. I picked one that was good looking and stood out with color. Thankfully I have time before the book is published to tighten things up and create a more professional presence. Thank you for this information! The beauty is that as a self-published author you have complete control so you can always tweak things in the future when you have time. 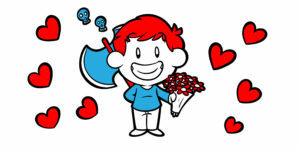 Very useful article with lot of tips, thank you Alex. I currently hired a web designer who edited the header professionally with a logo but we removed the picture. I have my picture now in the left and though it’s a good one, maybe it’s the case of Gillian Flynn. I agree the author’s picture it’s advisable to suggest authority hey it’s the first ladder of building an audience. It certainly is Antara and it has a huge influence on how your readers perceive you as it is often the only picture of you that they’ll ever see. This was so helpful! Photo shoot scheduled for this week!!! I was wondering if you have any particular suggestions for a single female author age 30 who writes tween historical fiction adventures in a witty, light-hearted (but always historically factually correct) manner. How can I make my author photo reflect who I am and what I write? Hi Anne, the lighting of the photo as well as the background can make a big difference, as well as your facial expression. In your case, you would definitely want to look happy rather than serious and you might be able to work something into the background that fits well with historical fiction, an old wall or a forest. The background should be out of focus though. Great website, and well written which is a huge plus! I am confused about whether to use a photo of myself if I am writing under a pen name. I already have three non-fiction books published (Random House and Hachette) some years ago, with one a runaway best seller, so I have a ‘name’ in my country. I am now teaching myself to write fiction ( daunting, even for a short story!) and will use a pen name for that. Do authors with pen names use their actual real image? Lots of authors use photos of themselves for their pen name personas. With the right lighting and props you could easily take multiple photos of yourself that look completely different and which would work for different genres. – You are writing about a sensitive topic and being recognized might cause you harm in some way. 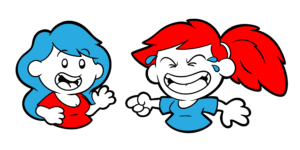 – You write in two extremely different genres (say children’s books and gruesome horror) where you would want to avoid any chance of your personas being linked. Apart from that I would use your real photo, just try and make it representative of your writing. Wonder if I don’t have a professional photo? I’m considering self publishing and traditional publishing. I write romance in multiple sub genres. I don’t think I can afford a professional photo. What’s a good substitute? If you can’t afford to get a professional author photo taken then I’d recommend having a friend or family member take the photo. Before you get started you should do a bit of research online into how to take a good portrait photo. You can take amazing photos with digital cameras and smartphone cameras if you know what to do. Here’s an article specifically on taking portrait photos with iPhones but the advice in it can be applied to most phones and cameras.